Offering exquisite flavours at Urla Pier, the most charming corner of İzmir, ADRES BALIK is happy to entertain distinguished guests who wish to explore new tastes. Here, the freshest sea foods are served before a backdrop of sparkling seas! An ambiance capturing unique and ancient culture of Urla in every detail offers very special flavours to you on every day of the week. 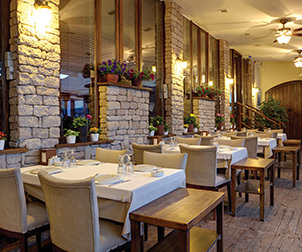 ADRES BALIK; an excellent restaurant always offering delightful flavours of Aegean and Mediterranean one cannot get enough, with panoramic sea views, 150 seat closed and 150 seat open space capacity, and comfortable and elegant ambiance! Comprised of expert chefs and an experienced army or servers, and directed by Dinçer Gözmen, our team is proud to serve you, our guests, with the same flawless quality with delightful fish dishes, fresh and rich varieties of appetisers, and gourmet tastes prepared with local herbs.